Sky Backpackers, Dublin, Irlandia : Rezerwuj teraz! 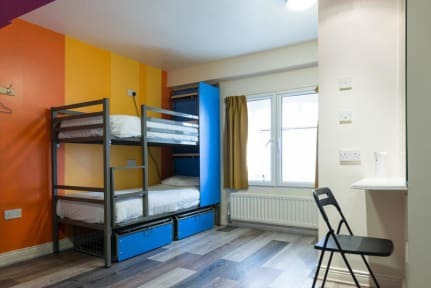 RECENTLY RENOVATED with all ensuite rooms, Sky Backpackers offers affordable, comfortable and safe backpacker-style accommodation in the centre of Dublin in a unique musical setting. 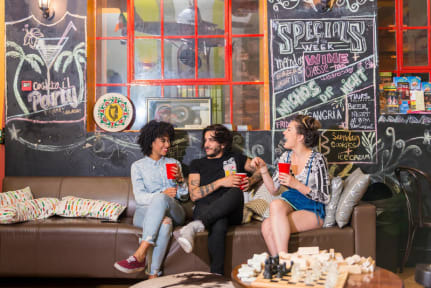 You will be staying in one of the most centrally located hostels in Dublin City just around the corner from the Liffey river, the Ha'Penny Bridge, O'Connell Street and a mere 1 minute walk from the Temple Bar Area. Our aim at Sky Backpackers is to make your stay in Dublin as comfortable and enjoyable as possible, while providing excellent value. Our friendly and knowledgeable staff can offer advice and tips to make sure you don't miss any of the good stuff. We have cable TV, games, books and guest computers. We also have DVD nights plus live music as often as we can. During your stay here you will find a 24-hour reception (No Curfew!! ), free Luggage Storage and free WIIFI so you can look for work and accommodation online in our comfy common room (The Old Rehearsal Studio). It is a great place to meet fellow travelers. Also, be sure not to miss our extraordinary free events!